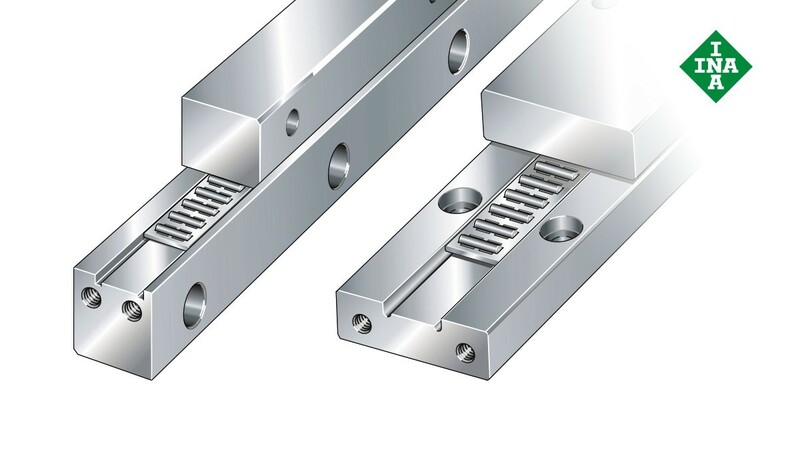 These guides comprise J and S guideways with intermediate needle roller flat cages. They are used as non-locating bearings and for restricted stroke lengths. The guides are available in tall and flat variants. The cages comprise metal or plastic and have a single or double-row design.